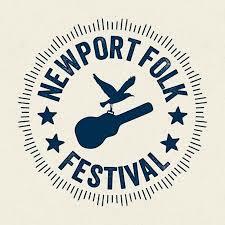 They’re probably not even a quarter of the way into the lineup announcements, but even if they were done, the Newport Folk Festival lineup so far is enough to keep me happy for years! CAAMP – this is another band I am looking forward to hearing for the first time. Jason Isbell and the 400 Unit – wowee!!! One of the best bands around today, I am thrilled they are returning to NFF! I traveled to Nashville just to see them last December in an intimate show, that’s how good they are. Jason is also one of the best songwriters writing music today. Nicole Atkins – Possessed with a fabulous voice, she is a great addition to the lineup. I saw her perform a few songs last year at one of the NFF after-shows and loved her. Twain – I know the name of this band but not their music so another introduction is in the works for me. Posted on March 18, 2018, in concert announcements, music, Uncategorized and tagged boston, CAAMP, concert announcement, Jason Isbell and the 400 Unit, music, Newport Folk Festival, Newport RI, Nicole Atkins, Twain. Bookmark the permalink. Leave a comment.